You can eat what you want within reason, and lose weight as long as you do not combine certain foods. Diets that require you to give up foods you love will cause you to give up your diet first. Most foods are needed by the body, and cutting them out is not always healthy. You don’t have to be on a low carbohydrate, high protein diet, conversely, as long as you eat them separately. Most People dread diets that call for no carbohydrates and I can understand why. 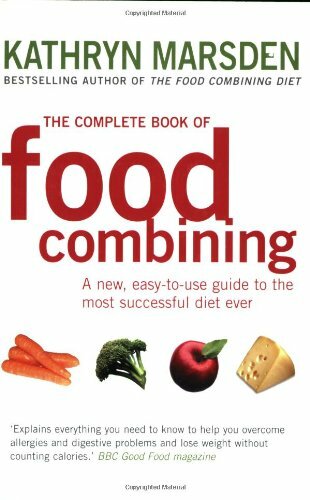 Why Certain Food Combining Isn’t Beneficial. When food doesn’t digest it stores as fat leading to weight gain. Combining certain foodstuff inhibits digestion.. Some food, such as proteins, need an acidic environment to digest, and another needs an alkaline environment. Combining these two types of food causes them to cancel out the other. Eat proteins and carbohydrates at separate meals. If you eat them together neither will digest and your body will store them as fat. Eat only one protein at each meal. Sugar is needed for energy but will not be utilized if mixed with protein. This mixture will cause you to be tired. 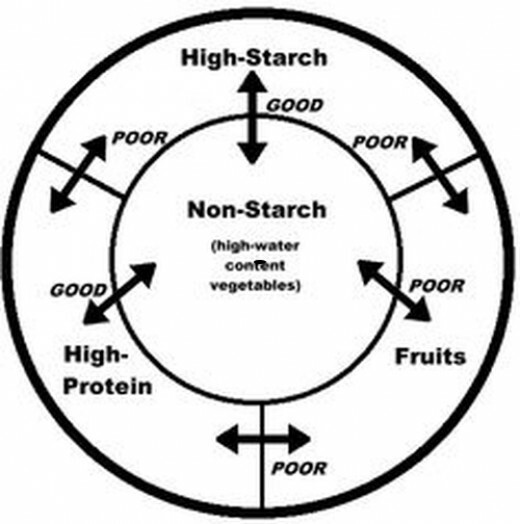 Starchy foods convert to sugar in the body. So think sugar + protein= weight gain. Even coffee will make you gain weight if sugar (carbohydrate) and milk (protein) are added together. Since cold foods, including liquids, inhibit digestion they should be avoided. If you like to drink cold beverages do so about one hour before eating and/or three hours after. Fruit and vegetable juice are whole foods and should be considered when combining foods. Here is a partial list to give an ideal of food categories. Proteins are: cheese, milk, coconut, nuts, eggs, olive, fish, seeds, fowl, soybeans, meat, yogurt. Fats and oils are: avocado, nut oils, butter, olive oil, corn oil, safflower oil, cream, lard, soy oil, sesame oil. 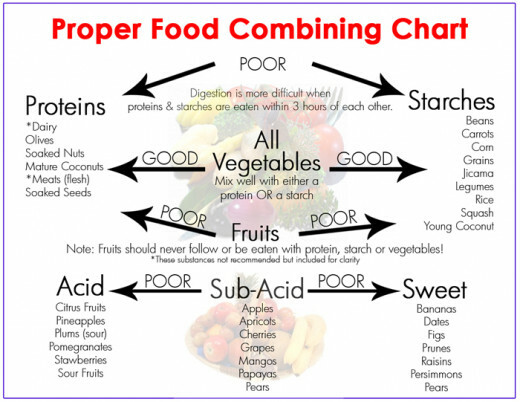 Combine Starchy vegetables, Non-starchy vegetables, grains, and proteinsCombine Sweet Fruits, Subacid Fruits, and Acid Fruits, but do not combine these with Melons. *It can be hard to separate these foods, however it’s better than giving up a food item entirely. 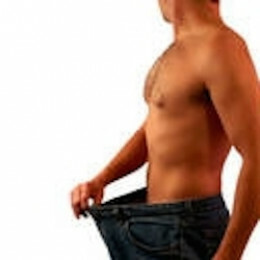 The only reason the Atkins diet worked was because there was no combining of Carbohydrates and Protein. There was about 400 people who died from that diet in the first few years. All protein and no carbs can be very dangerous. R. Atkins himself died from a disease of the heart muscle. Though many claim it was not related to his diet, that’s not true..it most likely was. (Carbohydrates give a person and the organs energy) Carbs include sugars, starch, and cellulose. They contain hydrogen and oxygen in the same ratio as water (2:1) and typically can be broken down to release energy in the body. This entry was posted in Articles, Remedies, Weight Loss and tagged carbohydrates, chart, Combining, Food, how to, Lose, loss, proteins, substance, Weight. Bookmark the permalink.